URM will provide customers with custom products such as rubber traffic cones to fit their needs. Alternatively you can contact with questions. These URM rubber fittings with clamps are made of high-quality EPDM rubber. The flexibility of the rubber fittings ensures a simple installation and service. 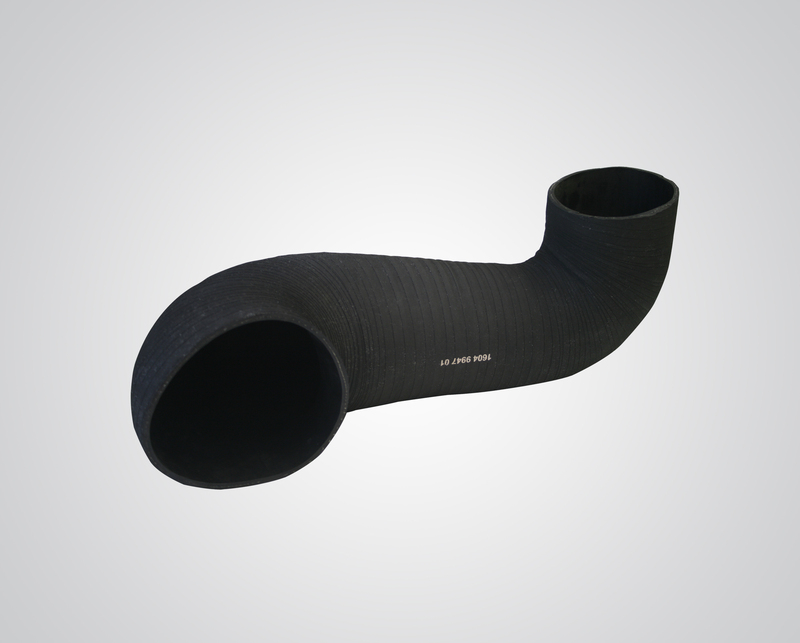 The flexible rubber adaptors, often used as air intake hoses, have a smooth inside surfaces to minimize flow resistance. URM rubber elbows have a standard bend of 45, 90 or 135 degrees, but can be made on your custom demand to fit your specific application. URM delivers to diverse markets, including the automotive, marine, medical, defense and government, appliance, electrical, electronic, engineering, construction, OEM industrial, motorsport, food, oil and gas, and many others. Our production range include moulded items and composite mouldings like rubber to metal, fabrics or plastics bonded products. All kind of extrusions, profiles, tubing,… Articles made by hand such as mandrel wrapped articles, reinforced hoses, and other related products. We are committed to meeting our customer's requirements and continuously improving our quality management system, procedures, materials and material handling systems to produce the best products possible.